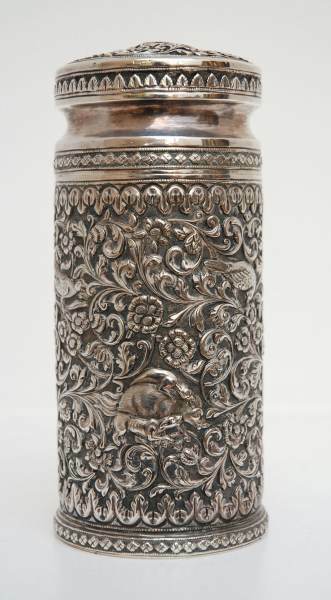 This piece has been in my family since it was made and has triggered my interest in Indian silver over the past twenty years. 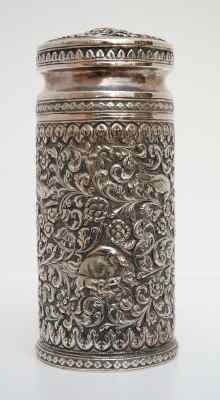 It stands about 6" (15 cm) high and was made by Oomersi Mawji, a master silversmith who worked in the remote town of Bhuj, Kutch in Gujarat. 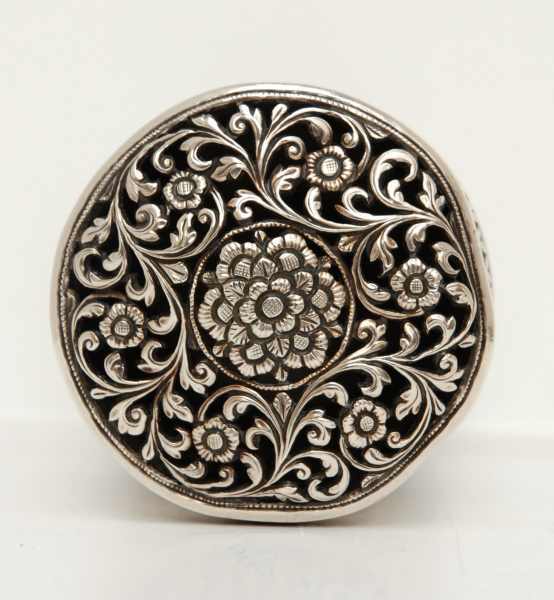 Last November I spent two weeks in Bhuj and tried to discover as much as possible about the silverwork from this area. 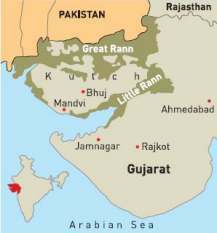 Kutch used to be a small island with a strong maritime history. Silver bullion was imported from Africa and finished works were exported worldwide. The key point was that this small state levied no tax on silver imports and exports hence silverwork developed, thrived and prospered. Oomersi is a common name in Kutch but OM and his family is still well remembered. He was born about 1850 into a low caste Luhar (metalworkers) so was not highly regarded by fellow Indians and could not marry outside that caste. However he proved to be a very gifted silversmith and this impressed Europeans who did not attach such importance to caste and thus OM became famous in India and overseas. OM used flora and fauna in his designs a lot which fits with contemporary painting, decorative textiles etc. The elegant Sarus cranes were a speciality. 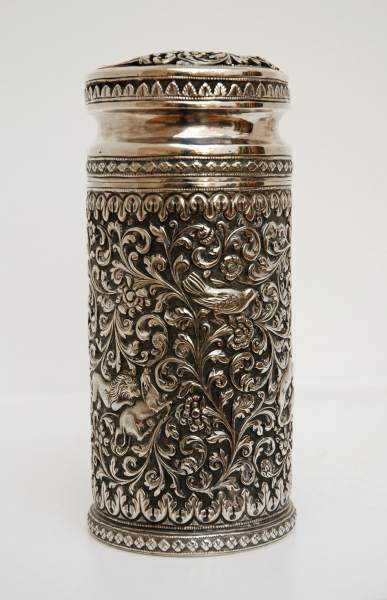 This sugar sifter was made around 1875 and is a good everyday example of this detail craftsmanship. The silver content is high at 97% and the O.M. mark is early as in later pieces the initials were in a single panel. His mark is classified under English (Colonial). There is no doubt he was Indian and in my view his work should be classified as such. He produced work specifically for the Maharao of Kutch and later he attracted the attention of the Maharajah of Baroda who became his principal patron. 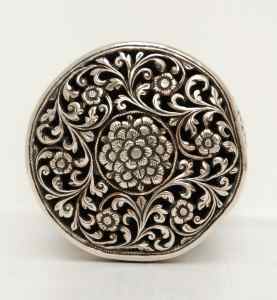 Consequently, this regular work of high quality led him to move with his silversmith sons and family to Baroda. His prime working years were probably between 1870 and 1890. The high quality and prices could not be sustained so by 1900 the designs were simplified to cater for new fashions and wider markets such as Liberty of London. His sons had grown with the business and continued to work in Baroda until the general demise of this type of work around 1930. The manufacturing technique is unusual and 'The Arts of Kutch' ISBN: 8185026483 (recently corrected and reprinted) gives a good detailed description. 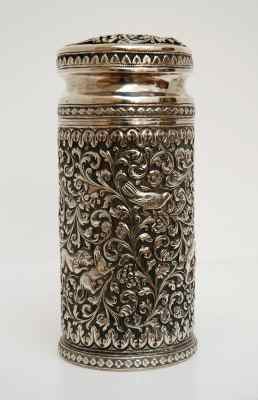 In summary, the main form of the piece is made in thick sheet silver, in this case a cylinder. This is filled with kil, a hot mix of resin and wax, which after cooling gives a solid core, allowing the outside to be hammered, punched, and filed to produce high relief and great detail. To obtain this level of detail the piece is heated and cooled (annealed), refilled with kil up to three times. 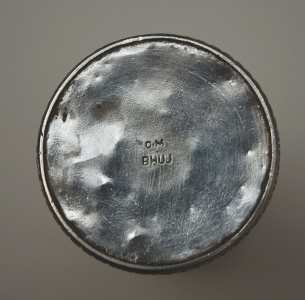 The inside is left fairly smooth compared with repoussé work and then lined with mercury and silver. The whole is finally cleaned with weak nitric acid, burnished, and highly polished. 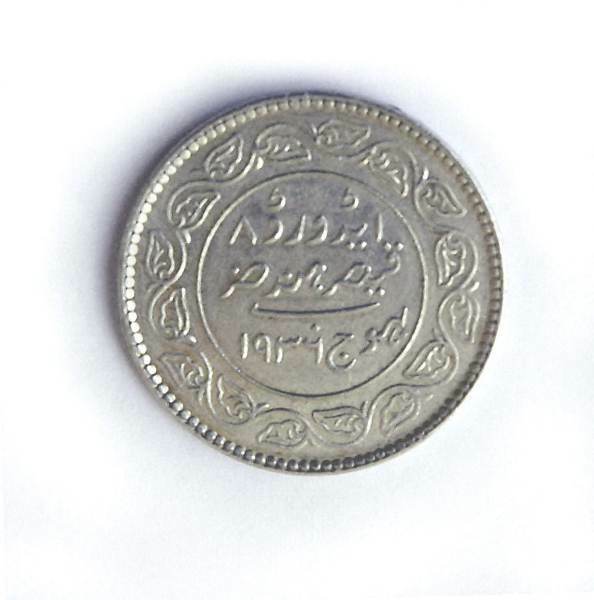 In 1617 Jahangir, the reigning Mughal Emperor, granted Rao Bharmal, head of the State of Kutch, the right to strike his own coinage, the kori, and this rare privilege continued until 1948. The mint and treasury was in Bhuj, the capital city of Kutch. Edward VIII was never crowned and although patterns were made no coins were circulated as currency in Great Britain. The only places in the world where they were used as currency were East Africa, British West Africa and Kutch. This 5 Kori coin is made from high quality silver and was circulated. 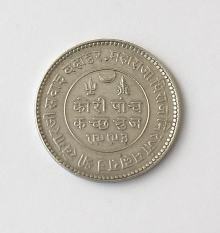 The rim is stamped ‘BHUJ KUTCH’ and the text reads approximately as: "Edward 8th (the inverted ‘V’ is the Persian numeral ‘8’), Kaiser-e-Hind (Emperor of India), Bhuj 1936". The lettering around the edge of the coin is in Sanskrit and reads "Maharaja dhiraj Mirjan Maharaj Shri Khengarji Savai Bahadur". Maharao Kengar was a highly respected ruler who died in 1942 and shortly before Independence.